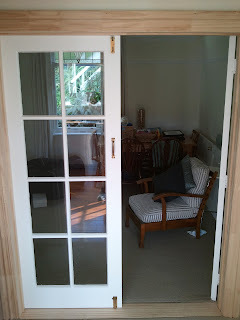 The homeowners wanted their French doors moved over for better flow and access. Unfortunately we don't have the before photos because "somebody" forgot to take them so you just have to imagine where it was from the obvious place on the wall! 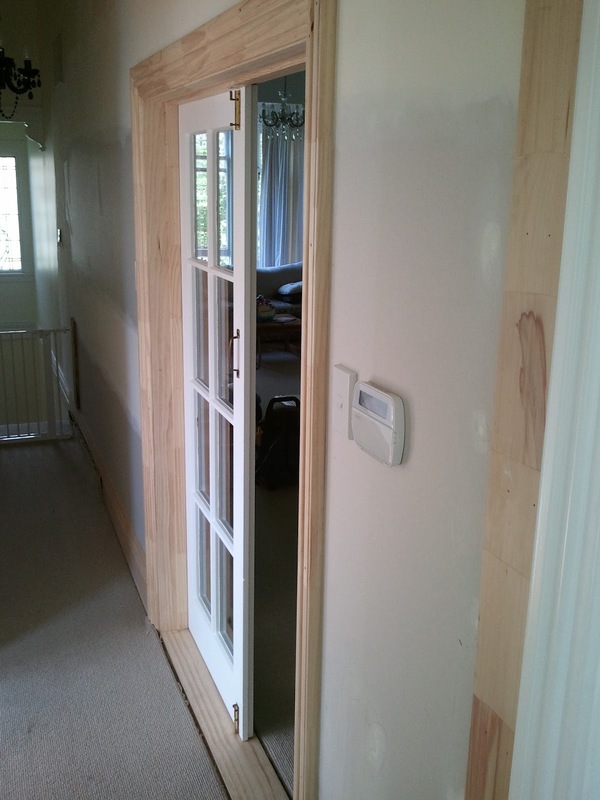 For this job we moved the doors, framed up the old opening, fitted new skirtings and architraves. With renovations or work on old houses there are often hidden surprises. 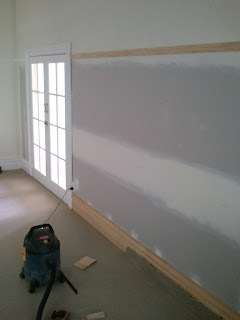 In this job we took out the doors and built a new frame. 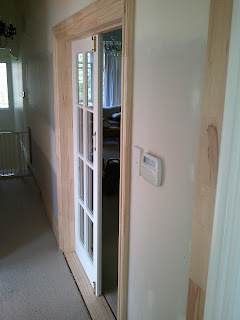 When we went to fit the doors we discovered that one door had been planed (where the timber is shaved off) on a angle to fit the previous frame (which had also been packed out). This wasn't obvious until we installed the doors in the new frames because it was so minor, but in building a few millimetres can make a difference and it would not have fitted on the frame so we had to plane both doors so they were square, true and the same size. 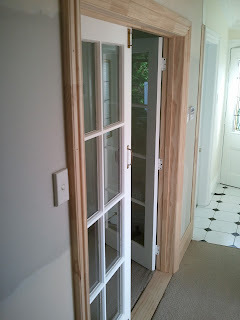 Whoever fit the doors the last time should have made sure that the frame was plumb and level rather than doing something to the doors. 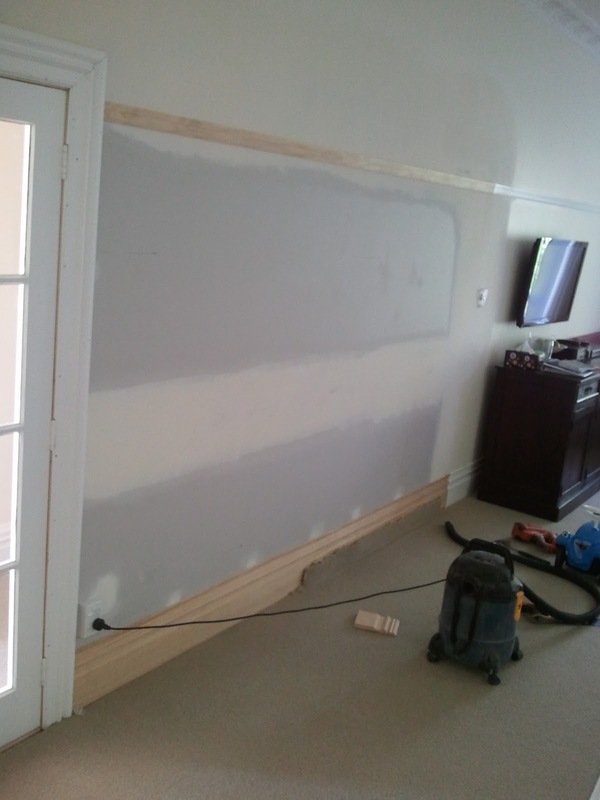 This goes to show that quick fixes often work out more expensive in the long run!